Our food system is both a cause of climate change and a potential tool for transformation. Chemical fertilizers, fossil fuels, and vast swaths of monoculture crops all contribute to the greenhouse gas emissions that are changing the climate. Small-scale farmers and those who work the land are impacted as temperatures rise and cycles of drought and flood become more extreme. Yet, even as these challenges mount, small-scale farmers are growing solutions to feed the world and cool the planet. 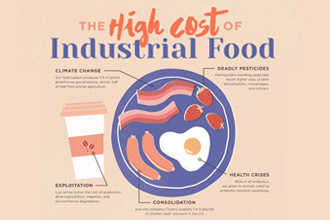 A simple graphic that shows the high cost of Big Food: climate change, deadly pesticides, public health crises, and exploitation to name a few. 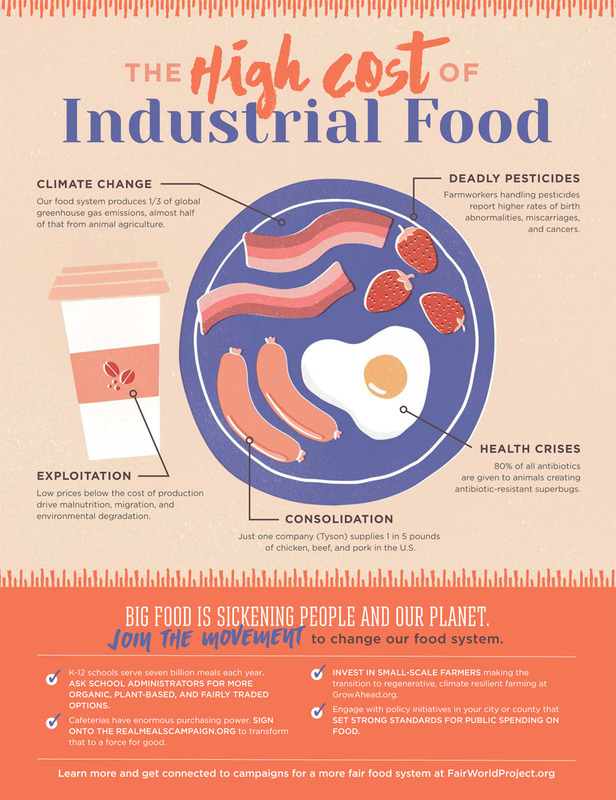 But there are steps you can take in your own community to change our food system. Devastating floods have displaced coconut and cashew farmers in the Fair Trade Alliance Kerala Co-op (FTAK) in Kerala, India. We are teaming up with National Cooperative Grocers, to raise $50,000 to support their rebuilding. Give today to help Kerala Farmers replant and rebuild. Did you know that when you choose fair trade, you are supporting a grassroots climate solution? This short video shows how fair trade partnerships are supporting regenerative agriculture. Industrial agriculture is accelerating the pace of climate change. But there’s a solution: small-scale farmers are practicing regenerative, organic agriculture – and growing 70% of the world’s food. 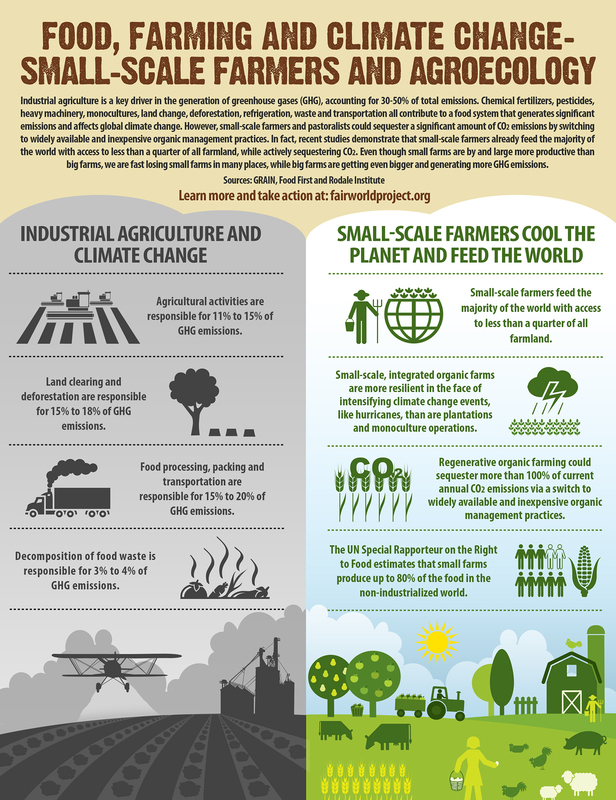 Industrial agriculture is a major contributor to climate change. 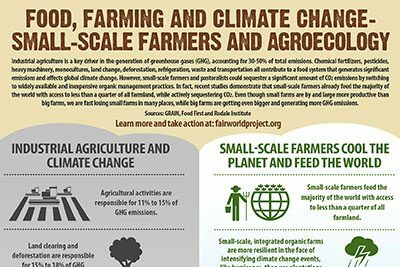 This short, visual resource lays out the problems – and the small-scale farmer solutions that we can all support right now!